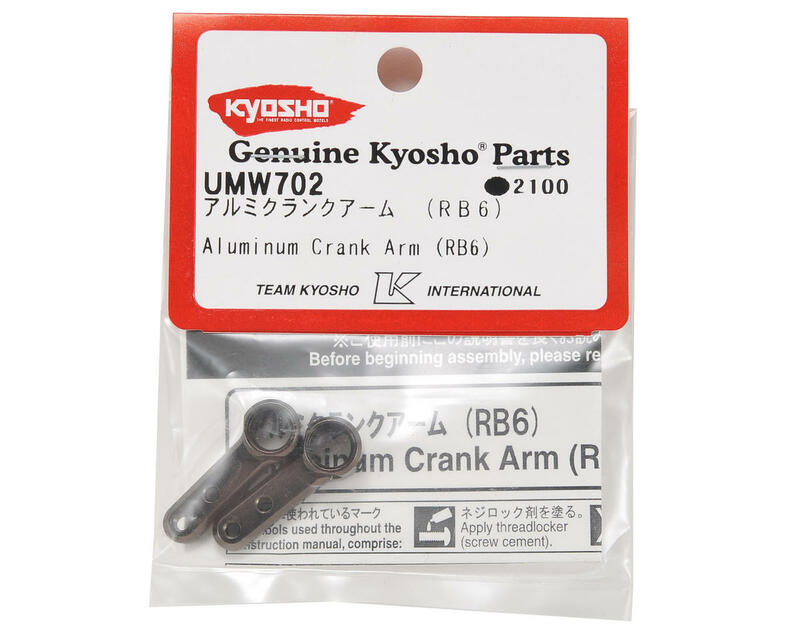 This is an optional Kyosho Aluminum Steering Crank Arm Set, and is intended for use with the Kyosho RB6 1/10 2wd buggy. 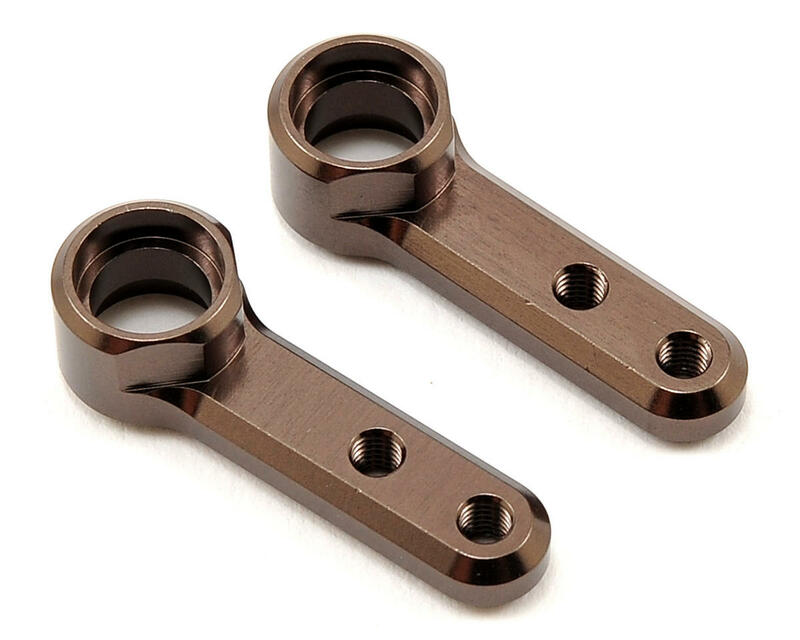 These steering crank arms are machined from high quality Japanese Aluminum, with Kyosho's impressive Gunmetal finish and have been developed to improve the overall steering feel as well as increase the reliability of the steering system. Installed these on the RB6 with some Ti screws. They provide nice precise steering.